The Renault 5 was a front-wheel drive supermini built all over the world by French automaker Renault from 1972 through 1985. 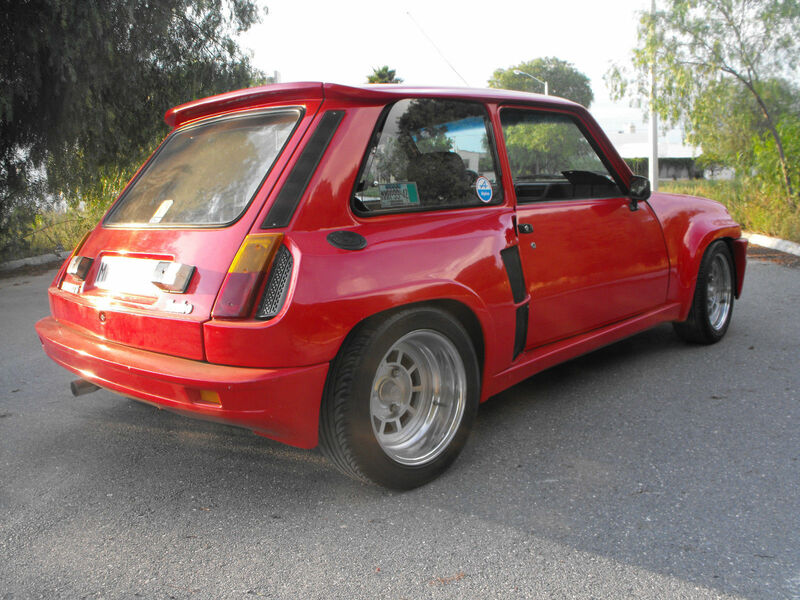 Renault also built an insane mid engine version of the car known as the R5 Turbo, but it was mechanically very different, so building your Renault 5 into a Turbo replica is going to be an exercise in all hat, no horse. 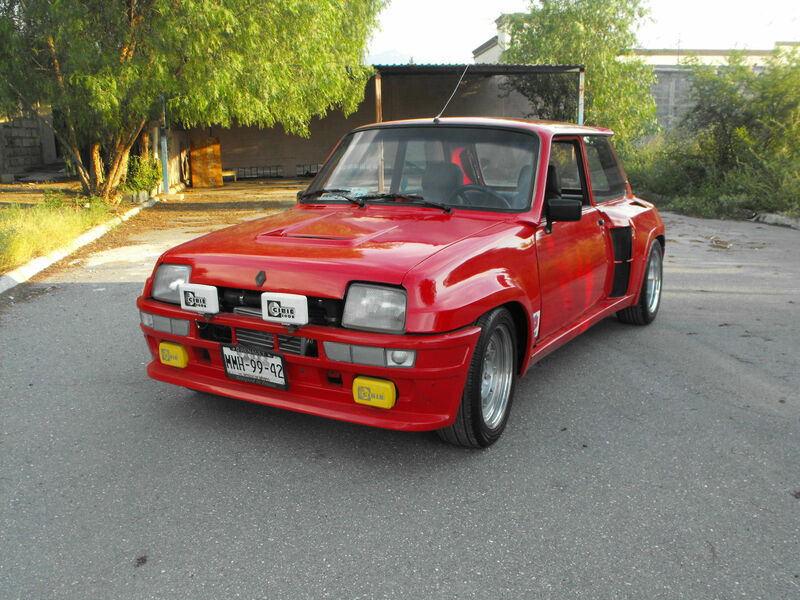 Find this 1980 Renault R5 Turbo Replica here on eBay bidding for $3,050 USD reserve-not-met with 2 days to go, located in Coahuila, Mexico. If you want all of the scrutiny and stares that comes with owning a high performance automobile, but without the actual performance, then this makes sense. You could easily say that if you want all of the accolades and street credit but don't enjoy risking life/limb/liberty at high speeds on the road, then it also sorta makes sense. Tomato, tomatillo...I guess. 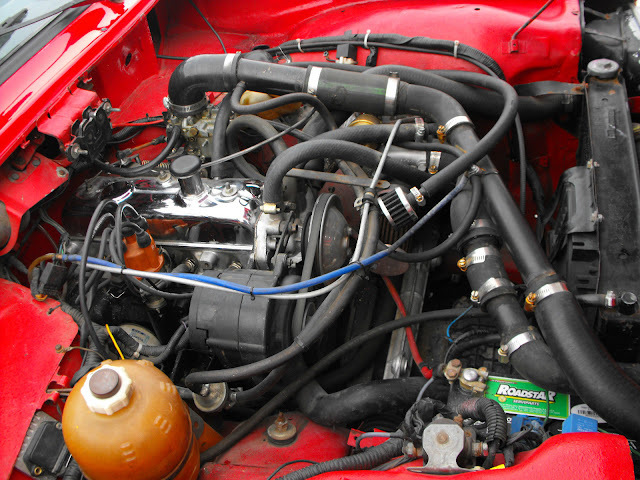 It is strange to see a longitudinally mounted inline-4 (with a really awesome Home Depot plumbed turbo setup) under the hood...and then you remember that this is one of those wacky French mid-front setups, where the transaxle is in front of the engine. Connoisseurs claim the mid-front setup is better for low grip conditions like ice/snow, but I'm pretty sure the only driving situation the mid-front is better for, is when eating cheese. Ad by Google Translate, apparently. The wheels are worth something by themselves. As for the car...nah. But it closed at $4550. ..... of course I should add that I will admit to being a Francophile, so that might explain my attraction to this one.